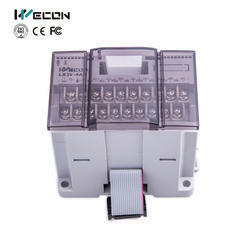 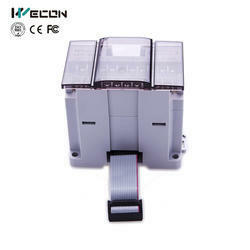 Providing you the best range of wecon 20 i/os plc:lx3v-1208mt-a, wecon plc lx3v series, lx3v-1wt programmable logic controller, wecon lx3v-2ad2da-bd plc module, lx3v-16eyt programmable logic controller and 40 i/os plc lx3v-2416mr-a with effective & timely delivery. 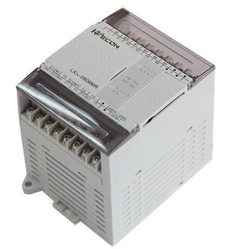 ◇Port:RS422, RS485,1 BD board supported. 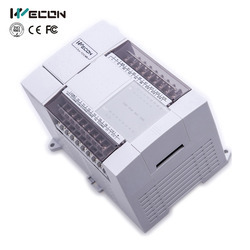 one PLC can connect more than two BD boards, one of them is Analogue BD board, the other is communicating board. 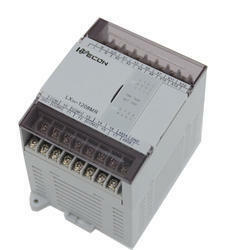 Port: 2 serial port(RS422/RS485, RS485),2 BD board supported.